Happy Monday!! Can you believe Christmas is only 6 days away?! I am so ready for it! 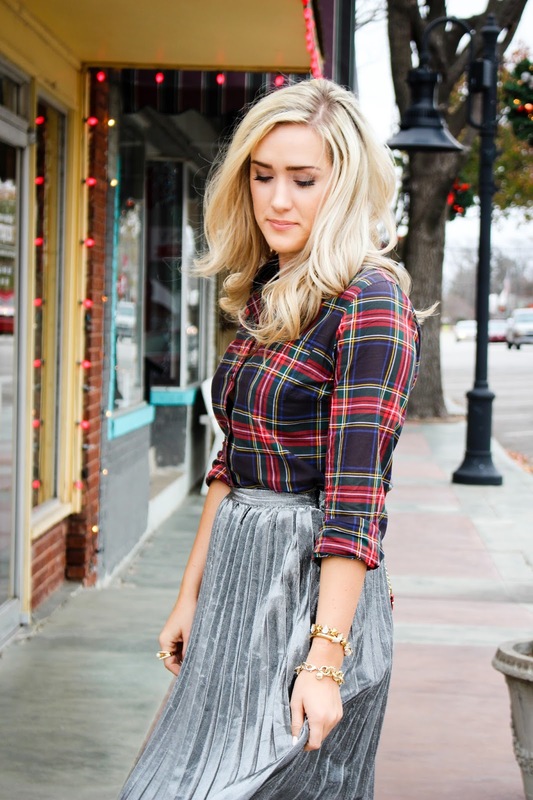 I ordered this skirt a few weeks ago, and I think it the perfect skirt to wear around the holidays! 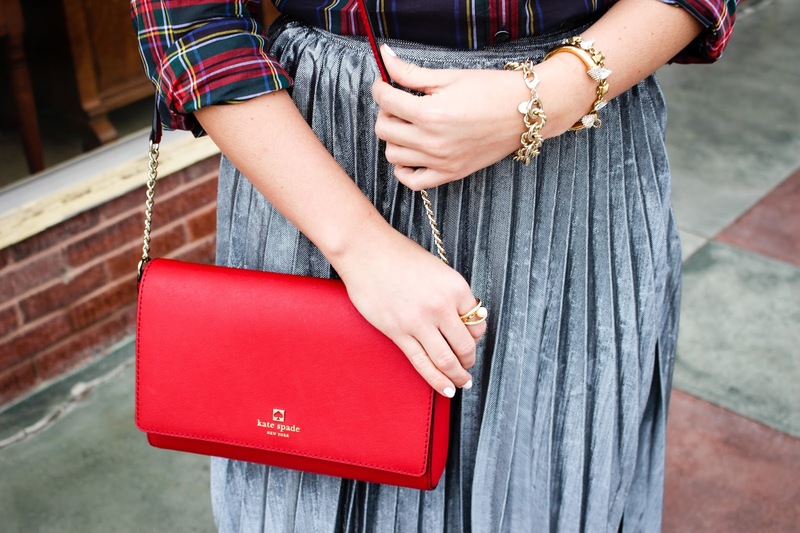 The metallic makes it feel so festive and fun! 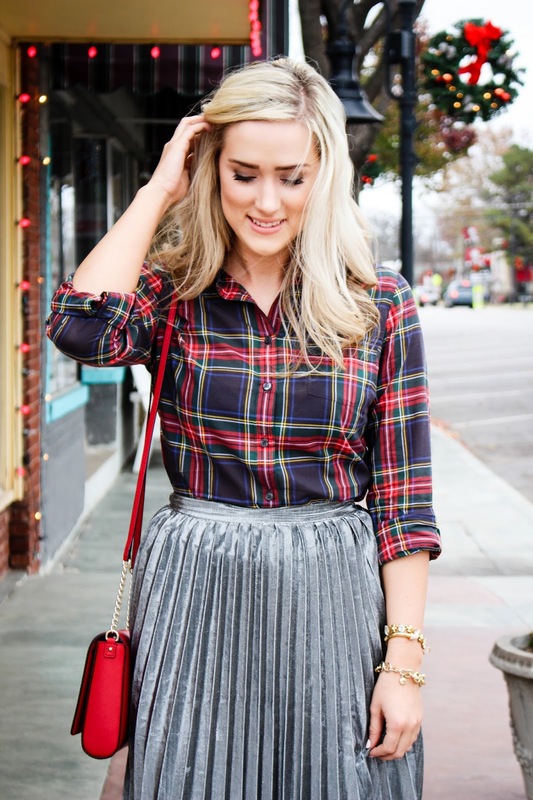 I also linked 2 other metallic skirts from Forever 21 that I really like as well! 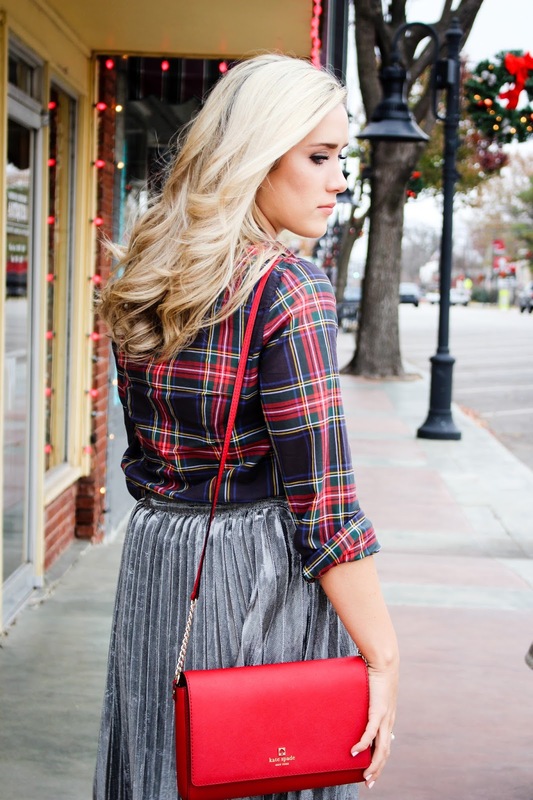 J Crew Factory has so many plaids that I love, including this one that is perfect for Christmas! The good news is, it is on sale right now for under $25! I finished up my Christmas shopping last Wednesday! It feel so good to be done and not have to worry about shopping! Are you all done with yours!? I can't wait till the last minute to shop, or I get too stressed out about it! We got our first little snow of the season Saturday night! Now I just hope we can get some more in time for Christmas!! I don't even remember the last time we had a white Christmas-its been too long!